My mom did a great job of feeding a family of 6 on a budget. 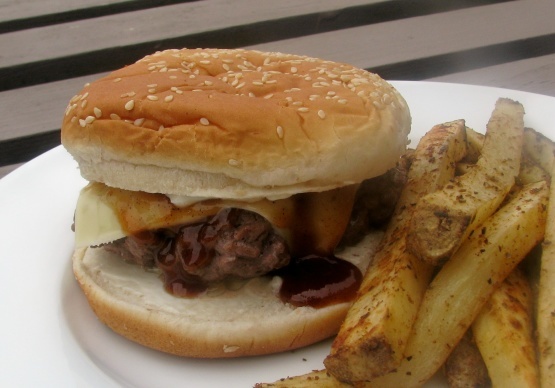 BBQ’d burgers was a regular dish during grilling season. She made the ground beef go farther by making it a bit more like meatloaf, then my dad would slather on the BBQ sauce on the grill. The result are tasty, moist hamburgers. Feel free to add cheese or other burger toppings on your burgers. In a large mixing bowl, using your hands, combine the ground beef, eggs, breadcrumbs and barbecue sauce/ketchup. Add additional sauce or breadcrumbs as needed so that the meat has a meatloaf texture – not dry or too wet, and holds together in a large ball easily. Add garlic powder and minced onion and mix well until distributed throughout meat. Pinch off about 1/2 cup of meat and roll into ball, then flatten with your hands. The hamburgers will shrink when cooked, so adjust the size based on your tastes. Allow for 4-5 patties per pound. Heat outdoor grill. Grill patties on one side for about 10 minutes, then flip over when the meat is browned on the underside and some grill marks are visible. Using a spoon or brush, cover the cooked side with barbecue sauce. Cook until the underside is browned with grill marks and flip again. Cover the top with barbecue sauce again. Flip one more time and then remove from grill. 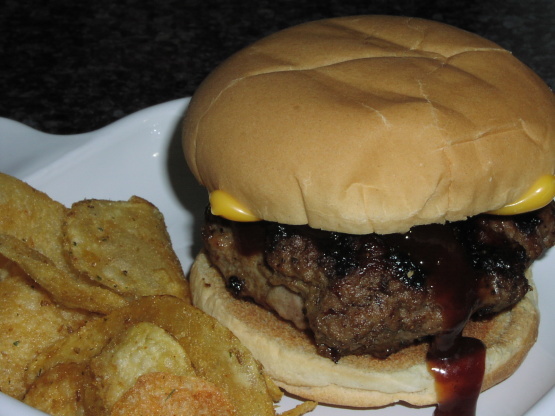 Serve on hamburger bun with your favorite toppings (or plain). NOTE: Cooking time will vary depending on how hot the grill is and how well done you like the burgers. We find it usually takes about 20 minutes total on the grill. If you want to make cheeseburger, place a piece of cheese on each burger just before removing from the grill. Cook until the cheese is melted and remove.